Customers, partners, friends. We are excited to announce the release of our new state of the art website. After months of work to make this site the best possible resource for our customers, we are proud to say it will be ready for use on February 1, 2016. Please remember this site will be a work in progress and that we will be adding many more images, features and enhancements over the months to come. Having said this, we welcome any feedback that you may have for us. Here are a few pointers to help you get the most use of the new website. 1. There are 5 main menu items on top of the homepage. Doors – Click to access cabinet door styles photos. Drawer Boxes – Click to access drawer box styles photos. 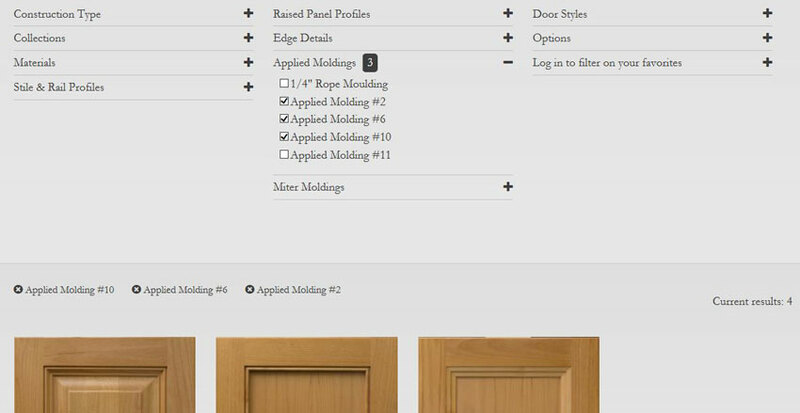 Moldings and Veneers – Click for our molding/veneer offerings. Resources – This tab will give you access to cool new tools such as our minimum door size calculator (details to come) as well as current ship dates. The resource tab also directs you to forms (order forms, credit apps, etc.) and general information (shipping, tolerances, pre-finish, etc.). Login – Using your own custom login you can create favorite, commonly used styles and access your wholesale pricing information. We've created a new find your door feature. This allows you to search and filter through door pictures by construction type (i.e. cope and stick – raised panel), collections (i.e. Heritage), materials, stile & rails profiles, raised panel profiles, edge details, applied moldings, miter moldings, door styles (i.e. W5100V), etc. 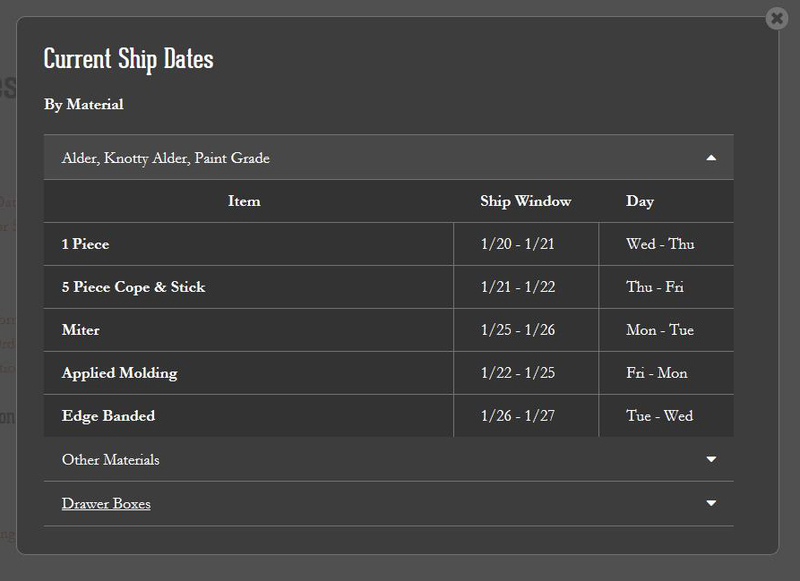 We've included a current ship date function that allows you to quickly calculate our current ship date based upon material and door style or drawer box. 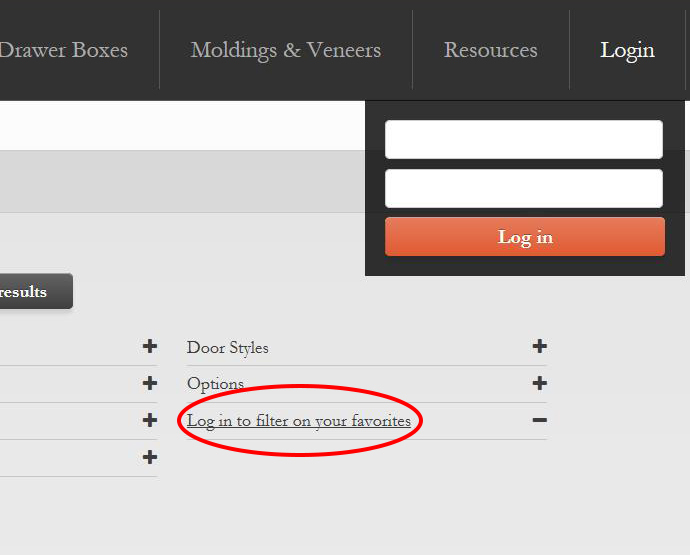 Many of our customers have typical door styles they offer so we've included a "your favorites" function. This allows you to save a door style to "your favorites" and readily access only the doors you typically order. You must be logged in to use this feature. You'll also be able to send a link to your customers to access only those door styles. 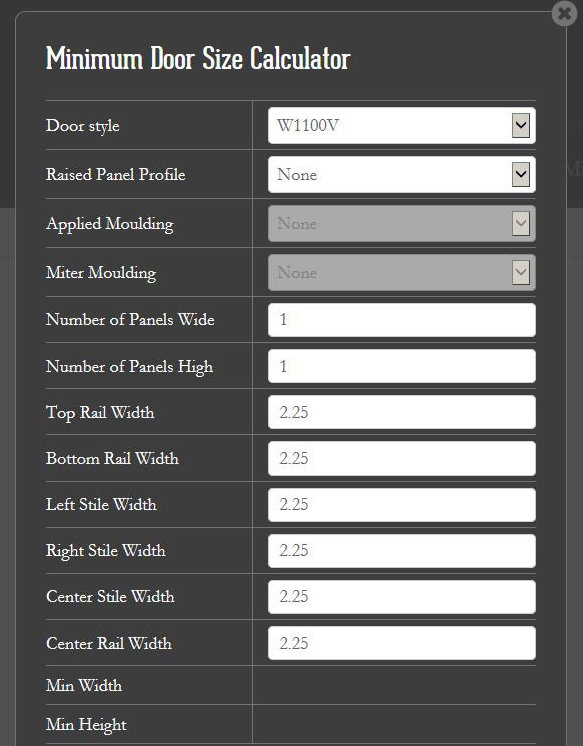 We've created a minimum door size calculator. Minimum door size is a function of stile and rail width, applied molding style, raised panel profile, etc. To make your life easier, we've created this easy tool to figure it out for you. Just enter your options and you're ready to go. Lastly, be sure to check out the new video on our homepage under "A Northwest Tradition of Quality". Thanks for your patience and enjoy the website. We hope it makes your lives easier and your business more productive! Want to leave a lasting impression with your customer?